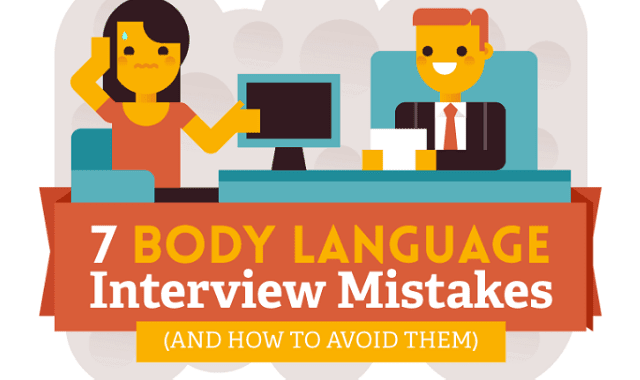 7 Body Language Interview Mistakes (and How to Avoid Them) #Infographic ~ Visualistan '+g+"
Actions speak louder than words —before you’re even given the chance to prove yourself at a new job, you need to make sure your body language doesn’t sell you out at the interview stage. Employers are looking out for a variety of things when you sit down opposite them in an interview. Eye contact is an important one. Two-thirds of employers say that lack of eye contact is the candidate’s biggest mistake. Have a look!